Tim, I think you are likely a nice guy -- maybe I'm not so nice, so I'll be a little blunt. I own all the commentaries released to date and have read four of the five. I found the quality of the commentaries to vary. Which ones have you liked/disliked so far? Yes, but aren't most commentary series hit and miss? Some volumes good some not so good, and the occasional great. That why the guide books usually say not to buy whole series. Well, part of the problem with inconsistency is probably because of the different authors for the commentaries. Each person has a different writing style and approach. One of the nice things about the ICSB has been the consistent authorship of Hahn and Mitch. Chuck, of course, you are correct. One of the distinguishing marks of this series though is that it is not a scholarly series, but a series designed for lay readers. I think the editors attempted to make the series more uniform. Tim, I'll try to post some comments on specific volumes shortly. I am reading Pope Benedict XVI Jesus of Nazareth I, and I am learning about the different views of scholars related to the Gospel. After reading it, I am planning to read the Bible texts, and see if I can find some points of view that are presented in Pope Benedict's perspective. Do the New Catholic Commentary present a view of the Gospel different from the Pope's view, or do they are more related with other scholars? 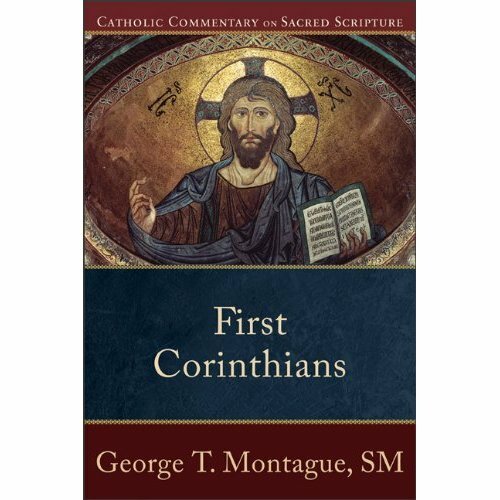 It is simply a Catholic commentary which uses the insights of both scholars and the teachings of the Church. I am confident in saying that it follows the principles set forth in Dei Verbum.